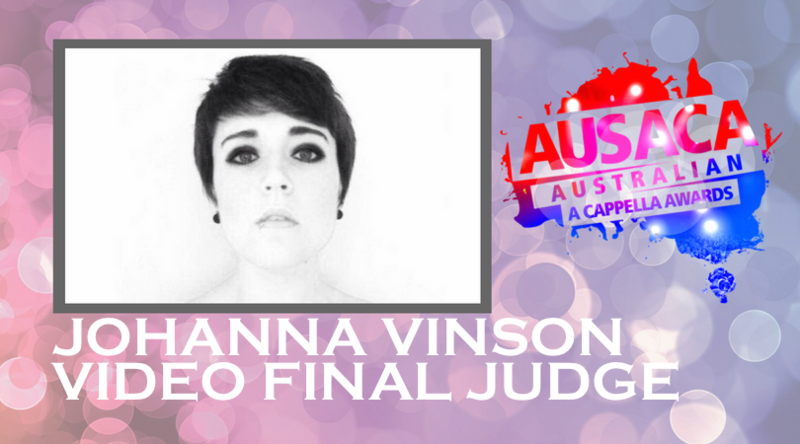 We’re excited to announce that the wonderful Johanna Vinson (USA) has once again joined our Judging Team for the Video Finals for AUSACA Australian A Cappella Awards! Johanna is also the voice of the lady bass in the movie Pitch Perfect 2, and is a director at A Cappella Academy, the prestigious summer camp in Los Angeles founded by friends Ben Bram, Rob Dietz, and Avi Kaplan. Jo regularly travels the world performing and teaching, both with her groups and privately, and when she’s home in Houston, she teaches voice lessons and arranges for many a cappella groups across the world. Results will be announced on Monday 18 June.